We tend to forget that the God in scripture who parts the seas and gives sight to the blind is the same God we come to with our prayers. He is the same yesterday today and forever. Ephesians 3:30 He is able to do immeasurably more than all we ask or imagine. We cannot be afraid to ask. In a podcast called Asking For A Friend by Chad Veach (btw every single one of his podcast’s are great), he calls it “making the big ask,” understanding that He actually delights to DO for us. Not only WILL He; He actually WANTS to. And there is no limit to what He can do. Mark 11:24 Whatever you ask for in prayer, believe you will receive it, and it will be yours. Matthew 7:7 Ask and it will be given to you (10 how much more will your Father in heaven give good gifts to those who ask him). John 14:13-14 I will do whatever you ask in my name, so that the Son may bring glory to the Father. If you ask anything in my name, I will do it. Philippians 4:6 Do not be anxious about anything, but in everything, by prayer and petition, with thanksgiving present your requests to God. We have to understand what faith really is. Hebrews 11:1 Faith is being sure of what we hope for. Faith is not crossing your fingers and hoping for the best. Faith is waiting in expectancy. It’s letting your “Amen” be an “It is.” It’s believing it is already yours, because God cannot move where there is not faith. Mark 10:27 With man this is impossible, but with God, all things are possible. James 1:6 When you ask, you must believe and not doubt. Romans 4:20-21 He did not waver through unbelief regarding the promise of God, but was strengthened in his faith and gave glory to God, being fully persuaded that God had power to do what He had promised. 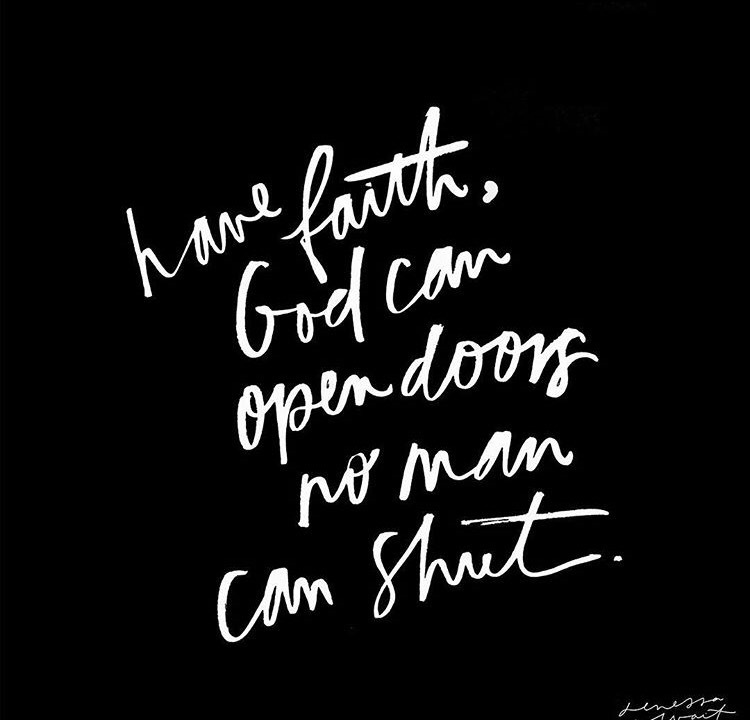 Matthew 15:28 Woman, you have great faith! Your request is granted. Matthew 21:21-22 If you have faith and do not doubt, you can say to this mountain, “Go throw yourself into the sea,” and it will be done. If you believe, you will receive whatever you ask for in prayer. How would your prayers look different if you really believed all of this?